This is called a storage disease as metabolic products accumulate in cells as the result of a mutation in a gene that codes for an enzyme that normally breaks down these molecules. Based on clinical signs and symptoms, three forms of this disease are recognized. The infantile form is the most severe with onset of features in the first 6 months of life. These include enlargement of the liver and spleen, cloudy corneas (windshield of the eye), changes in the light sensing retina of the eye, facial features, and neurological deterioration. The heart and its valves frequently malfunction as well. The ears and tongue are often large and the forehead is prominent. Involvement of the vertebrae often leads to abnormal curvature of the spine (scoliosis). Infants are floppy at birth but later develop some spasticity and may have seizures. Many infants succumb to the disease in early childhood. A juvenile form has onset within the first 3 years of life with progressive neurological deterioration and seizures. Eye and skeletal changes are less obvious and the heart and liver involvement less serious. However, death in childhood is common. Symptoms in the adult form may not appear until late childhood or early adulthood. These are milder than in the other forms and predominantly result from damage to the brain by accumulation of the metabolic products in brain cells. The disease is progressive, however, and eventually leads to dementia, speech and mobility problems, and difficulties in swallowing. The skeletal and organ damage is less severe. 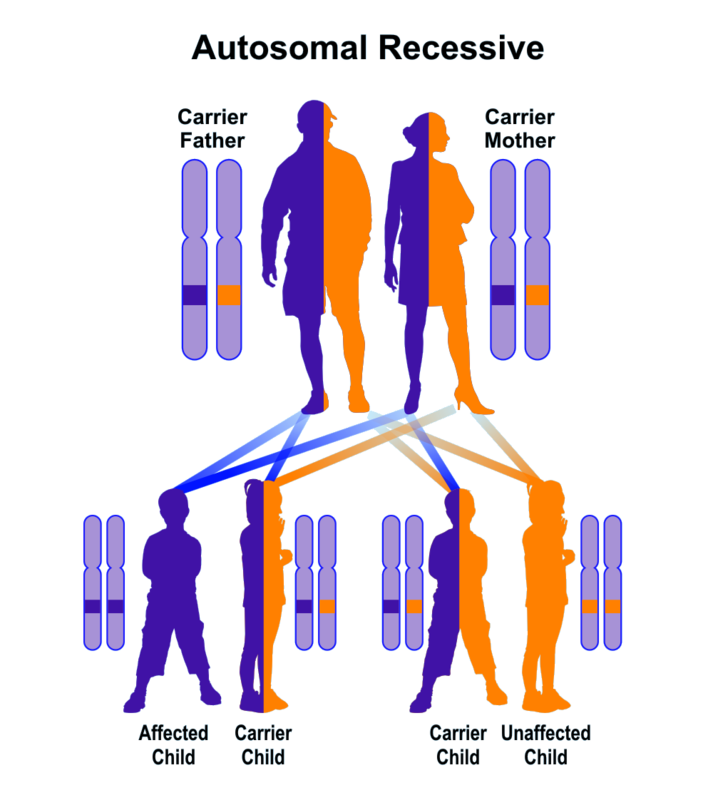 This is an autosomal recessive disorder that requires the presence of two mutations acquired from the clinically normal parents. Carrier parents with one mutation do not have disease but they can expect that on average that 25% of their offspring will inherit GM1 gangliosidosis. This is a serious, progressive disease that leads to early death in all but adult patients. No treatment is effective in altering the course of the condition.